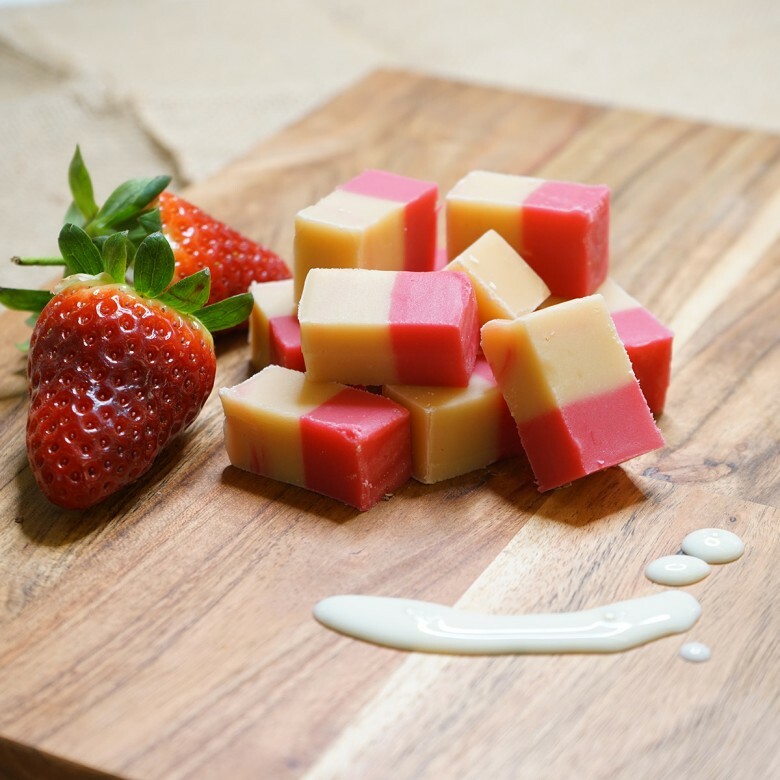 Strawberry and Cream Fudge - This two tone fudge has a fresh taste strawberry on the top is infused with a fresh summer tasting succulent strawberry flavour a vibrant pink colour creamy smooth texture and Vanilla creamy fudge on the bottom. 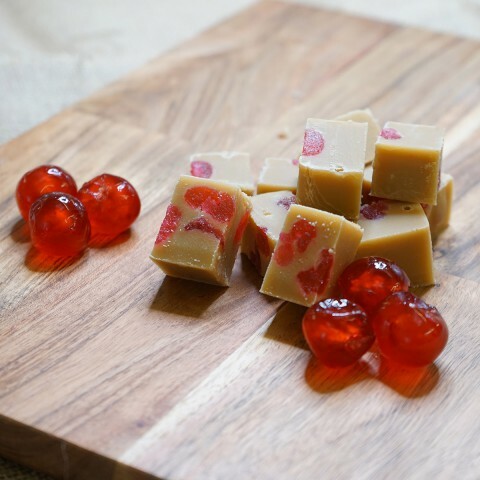 This classic fudge is made to a family secret recipe, made by hand the old fashioned way in our copper pans, one of our traditional flavours made in small batches in our family run factory this ensure high consistent results, soft smooth in texture only the finest ingredients go in, made with natural vanilla flavour giving it unforgettable rich sweet creamy buttery taste. 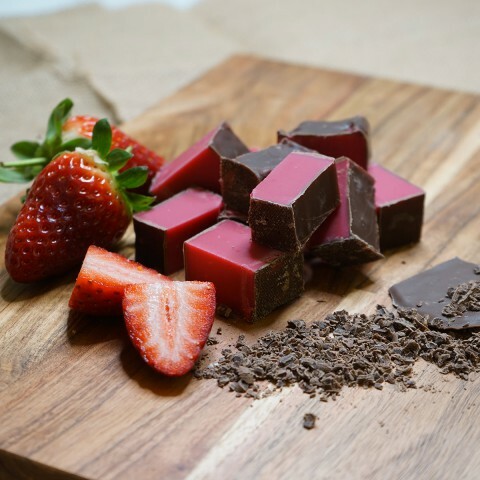 Strawberry and Cream Fudge is available in two sizes; a 150 gram bag or a 450 gram box.